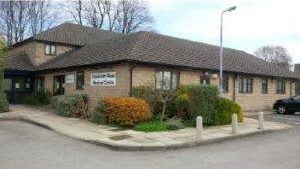 Our main surgery is at Birstall and we have a branch surgery at Birkenshaw. The practice area covers Birstall, Gomersal and Birkenshaw. with additional slots available on Saturdays from 9am and 4pm and Sundays 9am and 1pm. The scheme starts in August when evening and weekend appointments will be available for any patient registered with a GP in North Kirklees. The appointments will be available in Dewsbury Health Centre. The Practice is using a new telephone system to direct patient calls to the most appropriate health care navigator. or continue to hold for General Enquiries. Please note options 3-5 will be available from 10am daily, after the morning rush for appointments. If you wish the list to be repeated you Press * as per the instructions. Both sites have a dedicated disabled car parking space, with wheelchair access to the building and a disabled WC.